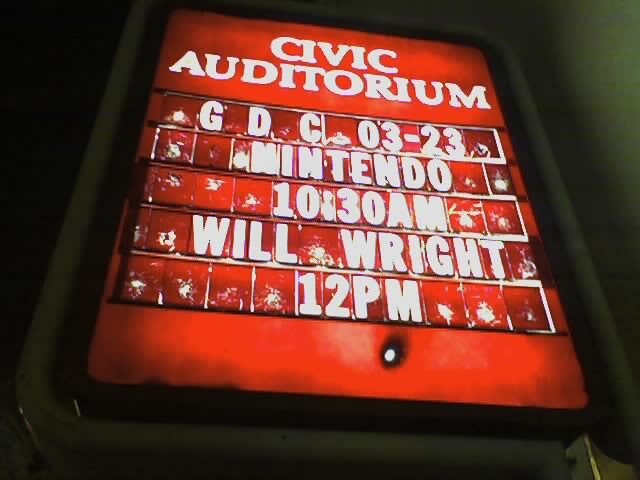 Today is the last day of the ’06 Game Developers’ Conference. 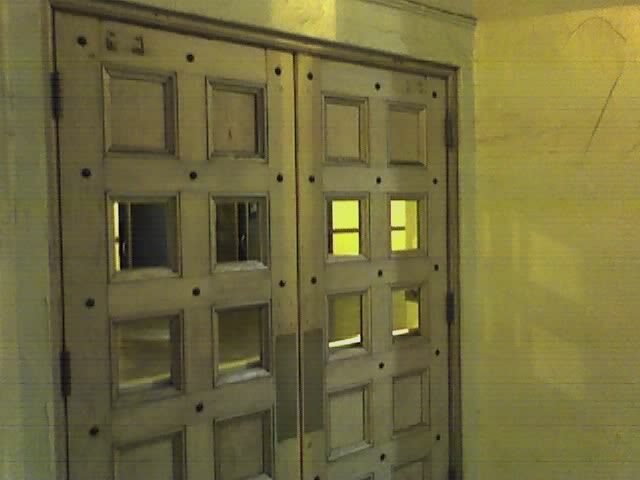 Three images from last night: The front entrace to the show, the sign on the civic auditorium, and the door to auditorium. 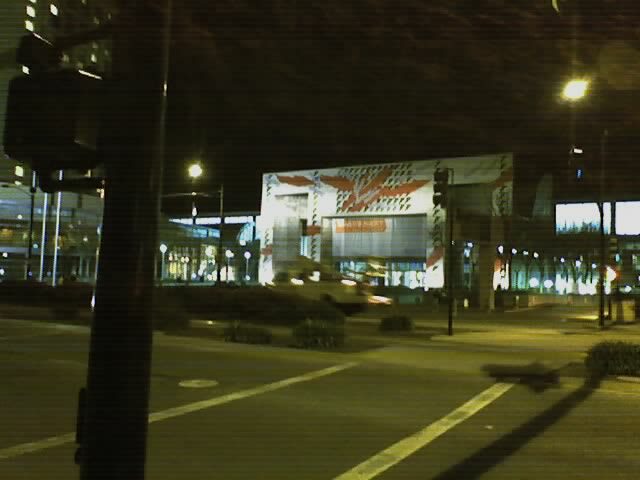 The auditorium is where the Game Developers’ Choice awards are given out each year. This year Guitar Hero and Shadow of the Collossus both won awards. (Great games.) This is also where Deus Ex won some stuff, so the place is emotionally significant for me personally.